Ideal for post surgical or leisure wear due to front closure and high cotton content. Available in a range of colors subject to seasonal availability. Lace and elegance in a front closure style! Fiberfill cups are supportive and comfortable for everyday wear. With hooks available in the back as well as adjustable straps for a perfect fit. 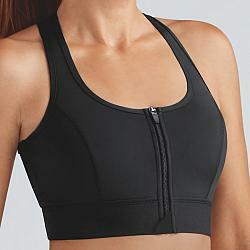 Bamboo cotton bra is comfortable and ideal for use as an after breast surgery sports bra, for healing, or for light compression and underarm coverage. Soft fiberfill cups with a comfortable racer back design to help keep your straps secure and prevent them from falling off your shoulders.